There are times when we accidentally download the same image multiple times. But, we don’t delete the duplicate ones. It rests in our system and takes up extra storage space. Days passing by, we encounter several situations like these, and at the end of the year, you notice that your system is full of duplicates and similar images, due to which there is no more storage left and PC is running slow. If we think of removing these similar images manually, it would take months to do so. Instead of deleting these duplicates manually, we can use a duplicate photo finder tool or photo management tool. They help in finding and deleting similar images from the system and makes the process a lot easier than we could imagine. 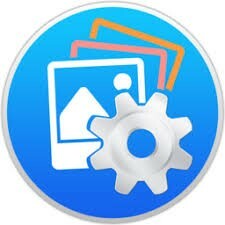 With just a few clicks, photo management tools help us in recovering disk storage space and make our photo library more organized. It’s an excellent duplicate cleaner for Windows, with its superfast scan engine, it scans for the duplicates and deletes them completely from the system. The process of scanning is based upon the matching level you opt for from the given options. With this duplicate photo cleaner and photo management tool, you can scan for duplicates from Photos, iPhoto, or from an external storage or from system’s hard drive as well. Now, it’s time to restore some disk storage space by deleting duplicate photos with this best duplicate photo cleaner for Windows. This photo management tool is a freeware, with multiple features. With dual-core processors, it scans for similar images and helps you to remove them permanently from your system. It allows you to adjust the similarity levels between images so that it can detect for exact matches. This duplicate image remover has a simple and streamlined interface with Auto-Select mode, where it marks similar images automatically for deletion based on several attributes. 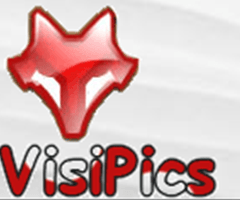 The file formats supported by VisiPics are JPEG, GIF, PNG, BMP, PCX, TIFF, TGA, RAW and many more. 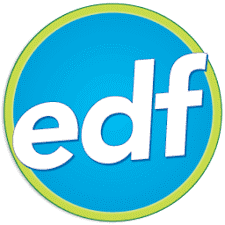 It’s a duplicate photo finder tool that detects and remove similar images in just a few clicks. This photo management software makes your system clutter-free and allows you to restore extra disk storage space. Once it scans similar images, it displays the list in preview section where you can select the similar images that are of no use and are taking up disk space. 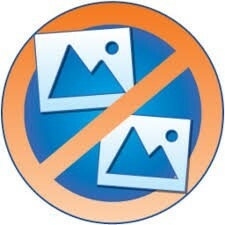 You just have to follow 3 steps in order to get rid similar images, that are, add, scan and delete and you are all done. This photo management tool lets you organize your photo library in a quick and easy way. Duplicate Photo Cleaner digs deep down in your system for every possible similar match. Also, it scans and detects similar images by photo content, you can also set the scan criteria for a similar match. Well, this photo management software is also compatible with Adobe Lightroom, so if you want to scan for duplicate images in Lightroom, it is possible with this great duplicate photo finder tool. It supports various image file formats, such as BMP, JPG, PNG, TIFF, GIF, ICO, WMP, ICNS, PSD, JP2, RAW, RAF and many more. This duplicate photo finder tool helps you recover extra disk storage space by removing similar images based on various attributes. It scans for similar images, rotated images, flipped images and also for resized photos and lets you remove them easily and quickly. Just press on the selection assistant for choosing the function that you want to implement on scanned duplicates. It supports all types of image file formats, including, RAW, JPG, PNG, TIFF, GIF and more. Now, organize your photo collection and restore space in just a few clicks with Ashisoft duplicate photo finder. So, this was all folks! These are some of the best ways to find similar images on Windows. These photo management tools will help you find and delete similar images based on several attributes in quick, easy and efficient way. Also, they will help you in recovering precious disk storage space clogged by hundreds of duplicate images. Download your favorite one now and get an organized photo collection in just a few clicks.